Here are the most common travel mistakes every newbie has made before they were able to call themselves a traveler. Travelers are a special breed, thanks to their unique skills. A traveler can pack enough luggage to last them the next three months in less than five minutes, immediately strike up lifelong friendships with locals thanks to the stories they have from every place they’ve been to, and easily adapt to every type of hardship they encounter on the road. In order to be included in the travelers’ club, one needs to go through all the things which make them a real traveler. It’s like a rite of passage. Here are the most common mistakes every newbie has made before they were able to call themselves a traveler. A famous Chinese proverb states that every journey begins with a single step, but that’s wrong—every journey begins with a budget. After patiently waiting months for a good deal on airline tickets, after browsing countless listings on various booking sites in search of the perfect accommodations, and after promising yourself not to buy more than three gifts per trip, you probably end up spending a huge amount of money on the first meal you eat in a foreign country. You’ve spent so much time saving up and being frugal that you feel like you can splurge on food, and temptation is greatest when the local cuisine is completely different from what you eat back home.Remember that you need to afford to eat at the end of the trip too; after all, the last meal of a trip is often much more memorable than the first one. 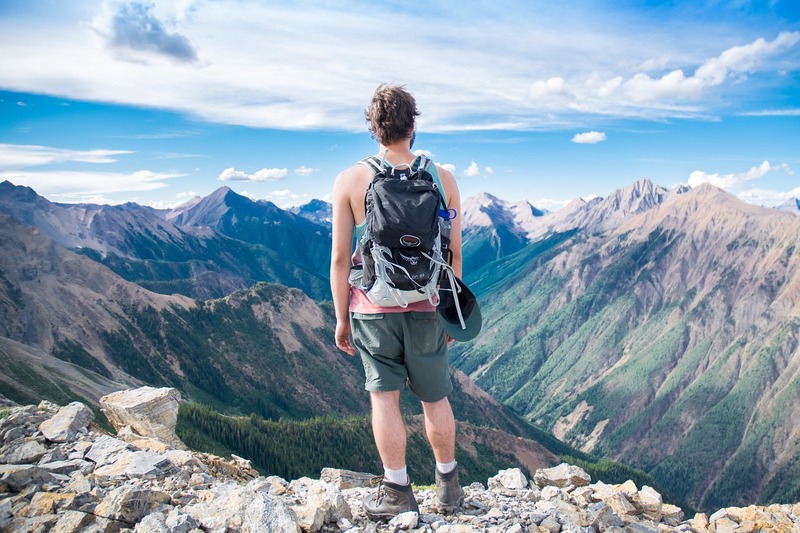 Backpackers may travel with bags, but you soon learn to protect your valuables by keeping them physically close to your body because bags are easily lost or stolen. Use zipped pockets to store your money, cards, and travel papers and make sure they’re all in different pockets. Always have a copy of everything on you, also stored in different places from the originals. These will come in handy when you need to deal with the authorities if your original papers get stolen. Another helpful tip is to dress down. Avoid wearing skirts and dresses;casual shirts and comfortable pants are always the best bet. When it comes to shoes, it doesn’t matter how nice they look—it only matters how comfy they are! There is a lot to say about travel credit cards, but the conclusion is simple: get one before you leave. Make sure you apply months before your departure, to avoid any problems with getting approved or the card getting lost in the mail. The cost of foreign transaction fees builds up fast, and your bank account statement balance will thank you if you use a card that doesn’t charge them. You should also make sure that the card will let you build up air miles. Research credit cards well and learn everything you need to know about saving money while traveling by plane. Time zones are important, but often confusing to keep track of and left out of lists of things to check before leaving. Time zones vary wildly between countries—sometimes even within countries—and not making sure your watch or phone is set to the correct time zone can (and will) lead to embarrassing situations, like showing up to a meeting several hours before it starts or arriving at a dinner very unfashionably late. Some countries are very strict about being on time, so always double-check that your devices are in the correct time zone. Of course, there are way more than four avoidable mistakes to look out for when travelling abroad. One way to gain local insight is to book a vacation rental with a trusted host who can give you advice before you arrive; for example, if you’re an international traveler coming to the United States, you could try staying at a vacation rental listed by a company that takes care of its guests, like !